First of all, he’s got the best voice for listening to. Next, each podcast is only about 10 minutes long so he touts it for those with a short attention span. Each story starts out simple enough about an ordinary person doing some sort of ordinary job or activity but by the end I am always gasping and saying, “No. Way.” The stories end up being about someone famous or some famous event that happened. Definitely worth a listen. Especially because they are short! 2) Prairie Girls Knit and Spin: This one is just a fun duo who talk about their spinning and knitting and crack me up. And I love their tag line: May your drafting be consistent and your gauge never lie. I found this one (I think a suggestion from my mom) after Books on the Nightstand ended (also a great podcast with lots of episodes you can still listen to). This is done by Roxanne Cody, the owner of R.J. Julia an independent bookstore in Connecticut. She usually interviews and author, asks about the book that changed their life and what they are reading, and then gives some book recommendations. A well-done, well-organized podcast with lots of information about knitting, spinning and even some sewing thrown in. One of my favorite segments is “When Knitting Attaaaaaacks” (said with a deep voice and scary music in the background). This one is actually a video podcast but you can just listen to it too! Her tag line is “Knitting, Spinning and Assorted Awesomeness”. Silly and fun. There you have it: A nice mix of podcasts that may be new to you and maybe you will want to try. If you have any podcasts that you love, leave a note in the comments. I’m always looking for something new and interesting. And yes, even if it is not knitting related! And now, a mini-commercial about Craftsy. Since I am an affiliate, I need to talk about it sometimes! But, I’m an affiliate because I really like it, so there’s that. 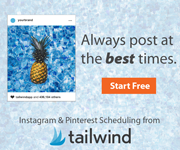 Click here to try them out. If you like them and want to sign up for a class, please consider coming back here and clicking through the side bar. I will get a small commission and that goes towards supporting the blog. Thank you! And don’t forget to comment about your favorite podcasts! 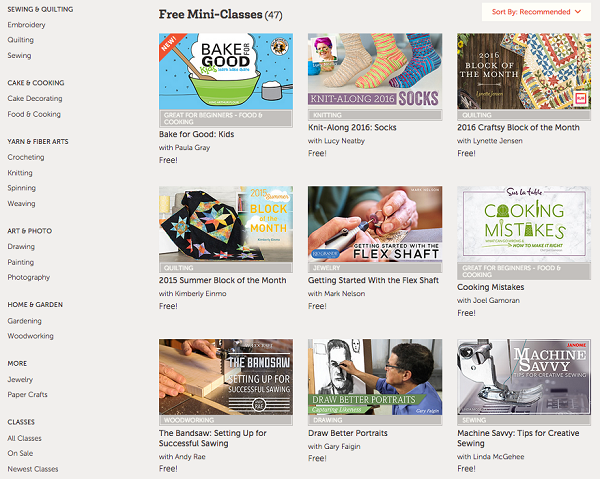 Posted in Uncategorized and tagged craftsy, free mini-classes, just the right book with roxanne cody, knitmoregirls, podcasts, prairie girls knit and spin, the fat squirrel speaks, the way i heard it with mike rowe, video podcast on March 3, 2017 by lizytish.